I take living in Southern California for granted. Sublimelimes reminds us that up north outdoor skateboarding is seasonal. 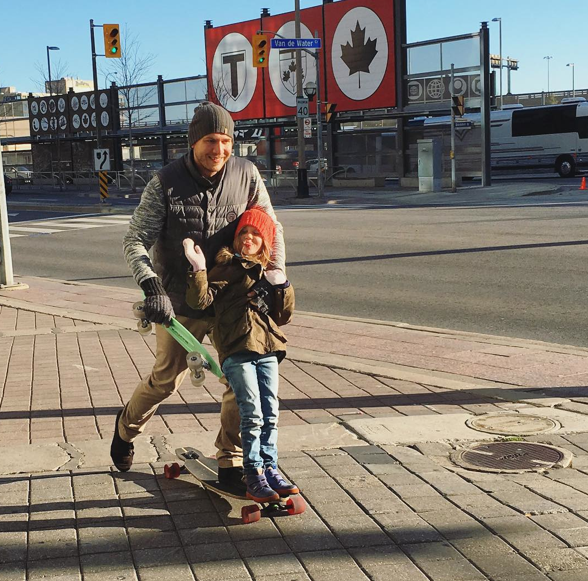 Love pictures like this – skateboarding should be fun and how rad when you can share it with your family. Enjoy the snow that’s coming & hope to see you in the spring! Where are you skateboarding in the winter – love to find out about indoor parks – just tag me and I’ll share!